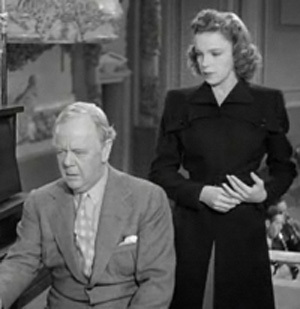 Though not a team to be found on the top bill, the Judy Garland and Charles Winninger collaboration occurred in three films: Babes in Arms (1939), Little Nellie Kelly (1940), and Ziegfeld Girl (1941). They combined their comedic and song-and-dance talents in roles sporting the cross-generational conflicts and resolutions common between patriarch and offspring — where, of course, the patriarch and his offspring form a typically uncommon showbusiness family. Those are really good movies! Little Nellie Kelly is good, and I LOVE Ziegfeld Girl! It’s kinda sad though!